That’s right! 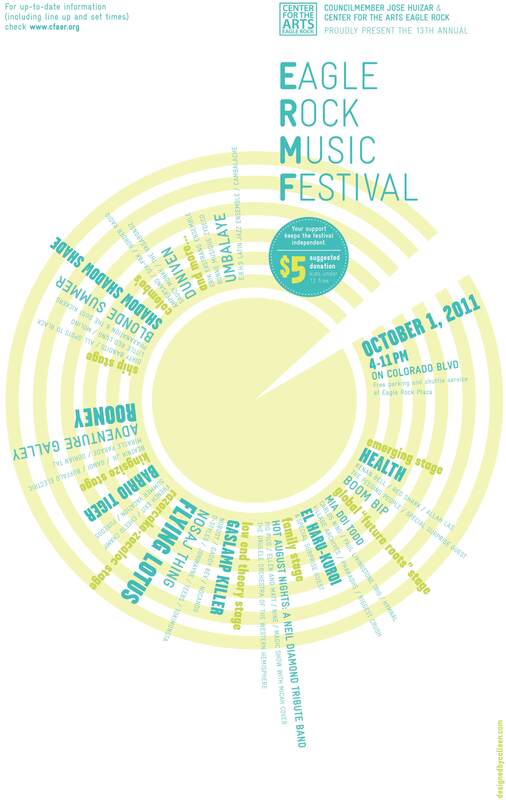 Going down October 1st, Eagle Rock will be hosting their annual music festival on Colorado Blvd, past Eagle Rock Blvd, from 4:00PM – 11:00PM. I live in the area so the only complaint I have is the lack of parking spaces on and around my block – I do wish they had a designated parking area for people checking out the festival. But what’s dope about this event is Low End Theory has returned to kill the festival again with their raw sound. Featured DJ’s on stage are DJ D-Styles, Daddy Kev, Gaslamp Killer and Flying Lotus.